Who doesn’t love chocolate ice cream? So fitting that this indulgent holiday happens just at the start of summer, it’s a perfect excuse to kick off ice cream making at my house. To celebrate chocolate ice cream day, here are three different ways to savor chocolate ice cream (or chocolate + ice cream) today, and all summer long. 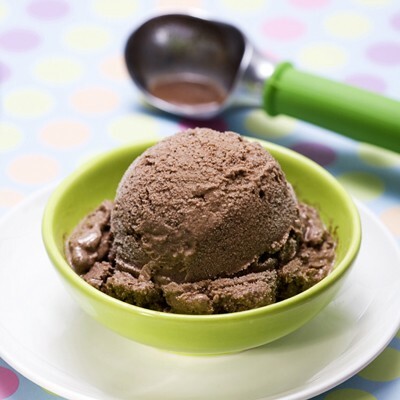 Make your own chocolate ice cream, with Abuelita’s special chocolatey cinnamon flavor shown above. It’s easy and fun! HEAT media crema and Abuelita chocolate in medium, heavy-duty saucepan over medium-low heat, stirring constantly, until chocolate is completely dissolved and mixture is smooth. Remove from heat; stir in milk. POUR mixture into 13 x 9-inch baking pan; cover with plastic wrap. Freeze, stirring every hour to break up ice crystals, for 4 to 5 hours or until set. As the Nestlé Kitchens Pie Recipe Contest winner, this Caramel Macchiato Ice Cream Pie is a refreshing summer treat. Milisa Armstrong uses Dreyer’s or Edy’s Grand Coffee Ice Cream to create a delightfully grown-up taste. Just the name alone makes me want to make this mocha-like shake above. Frozen Chocolate Jitterbug is a refreshing combination of chocolate and coffee in a chilled beverage that is great as a pick-me-up.